Congratulations to our Team YCS Champions! The first ever Team YCS started with 556 3-person teams. 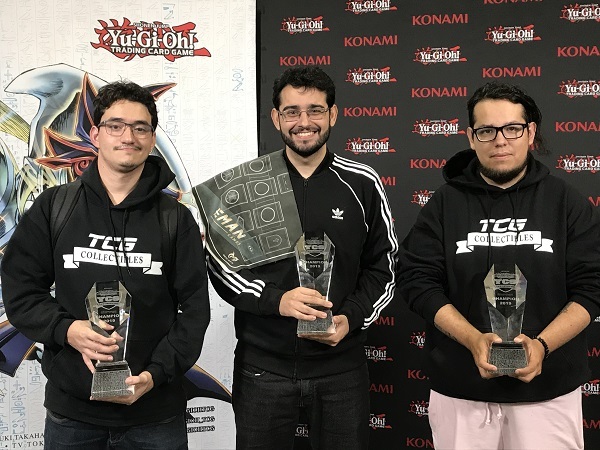 After 10 rounds of Swiss and 4 rounds of Single Elimination, Team TCG Collectibles Fala Galera from South America bested all other teams to win it all and share the title of YCS Champions! Michel Verrissimo Da Silva Luiz from Brazil played Sky Striker, Paulo Roberto Goncalves da Silva from Brazil also played Sky Striker and Hector Lorenzo Perez Herrera from Chile played Salamangreat on their way to a YCS Championship. The first ever Team YCS comes 2 weeks after the Ultimate Duelist Series Invitational Winter 2019 where Salamangreat, boosted by Structure Deck: Soulburner, took the strategy to new heights as powerful monsters like Salamangreat Miragestallio along with combo searchers like Salamangreat Baelynx and Salamangreat Gazelle added consistency to a Deck that every top-performing Deck over the years takes advantage of. While Hector Lorenzo Perez Herrera was the lone member of the winning team to pilot Salamangreat, he was joined by over 400 other Duelists in using the Deck, making it the most represented Deck in the tournament by far. Sky Striker and Thunder Dragon were also among the highest represented Decks in the event, and Duelists had to prepare accordingly if they hoped to do well. 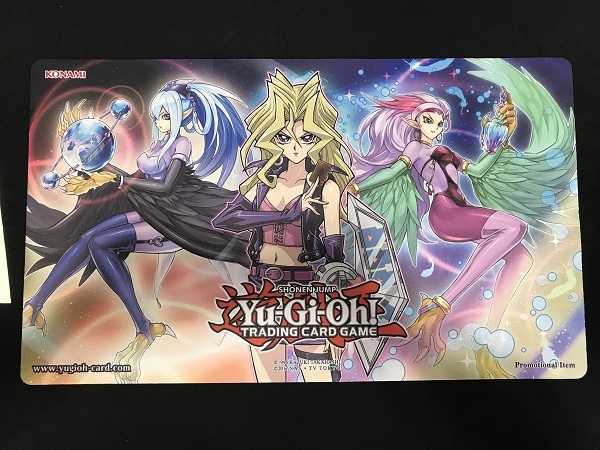 While this weekend also saw new Game Mats exclusive to the Team YCS, we also saw the debut of a new Win-A-Mat featuring Mai Valentine alongside the new Harpie Monsters featured in Legendary Duelists: Sisters of the Rose! 30 Duelists walked away with the new Win-A-Mats as 30 separate Win-A-Mat tournaments were run over the last 2 days. This Win-A-Mat will also be available at upcoming Regional Qualifiers and YCS events! Thank you all for joining us on a historic weekend! See you all for the next Yu-Gi-Oh! Championship Series event in Knoxville, Tennessee on June 1st!